TRAP #2: Physically condensing. Women tend to condense their bodies, keeping their elbows to their sides, tightly crossing their legs, stacking their materials in small, neat piles and contracting their bodies to take up as little space as possible. High status males do the opposite: They expand into available space and take up room. TIP: Remember that status and authority are non-verbally demonstrated through height and space. So stand tall, pull your shoulders back, widen your stance and hold your head high. And at the next meeting, instead of keeping your belongings in a neat little stack, spread them out and claim your turf! TRAP #4: Speaking “up.” Women's voices often rise at the ends of sentences as if they're asking a question or asking for approval. TIP: When making a declarative statement, be sure to use the authoritative arc, in which your voice starts on one note, rises in pitch through the sentence and drops back down at the end. TRAP #8: Flirtatious behavior. Women gain likeability but lose the competitive advantage in a negotiation when they flirt. That was the consensus of a University of California Berkeley study in which female actors played the roles of sellers of a biotech business. Half were told to project a no-nonsense, business approach. Half were instructed to flirt subtly (using the nonverbal behaviors of smiling, leaning forward suggestively, tossing their hair, etc.). The outcome of the Berkeley study was that the “buyers” offered the flirts, dubbed “likeable losers," 20 percent less on average than what they offered the more straitlaced sellers. TIP: In business, it’s better to come across as competent and professional. TRAP #10: Having a delicate handshake. Even more than their male counterparts, women with a weak handshake are judged to be passive and less confident. TIP: Take the time to cultivate your "professional shake.” Keep your body squared off to the other person, facing him or her fully. Make sure you have palm-to-palm contact and that the web of your hand (the skin between your thumb and first finger) touches the web of the other person's. Look your partner in the eyes, smile—this is one place where a smile is a business asset—and start to speak: “So good to meet you . . .” or whatever. Most of all, remember to shake hands firmly. 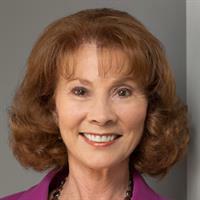 Carol Kinsey Goman, Ph.D., is an international keynote speaker, the author of "The Silent Language of Leader" and creator of LinkedIn Learning's video series, Body Language for Leaders.